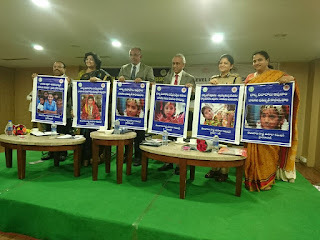 Tharuni , Under Girls Advocacy Alliance Project of Netherlands, organised a State Level Consultation ,in collaboration with State Women Commission on 'How to prevent Child Marriages', at Hyderabad. on 16-12-2017. Acting Chief Justice Honble. Sri Justice Ramesh Ranganathan, District Legal Services Authority Chairman,Hon'ble Sri Justice Rama Subramanian stated that every marriage must be compulsorily registered.It deters Child marriages in the State.They said that child marriages can be stopped if there is awareness among the Public about its disadvantages. 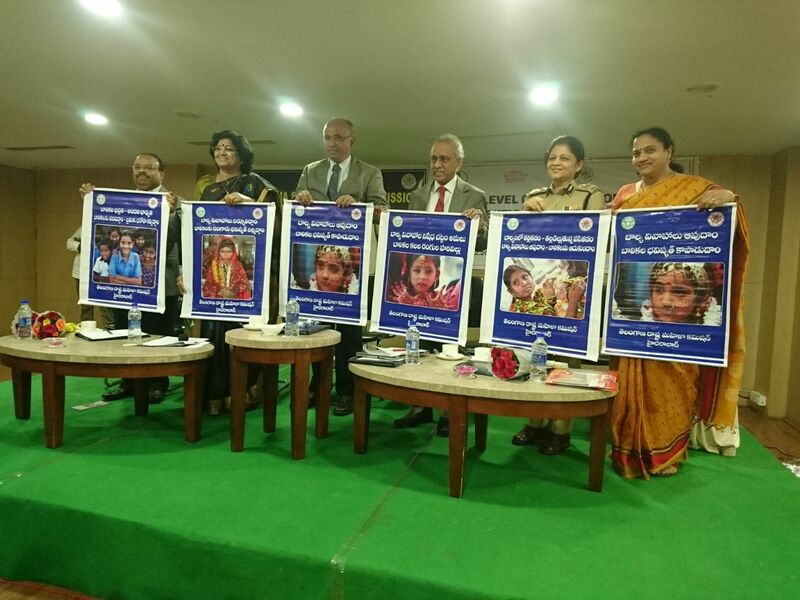 Dr. Thripurana Venkata Venkata Rathnam , Chair Person of Telangana State Women Commission , asserted that the combating Child Marriages is a social responsibility. Department of Women & Child Welfare, Director will be given powers to register marriages, said Sri Jagadeeswar, Secretary of the Department..An online web portal will be started very soon, he further stated. Smt. Sikha Goel, I.P. S. said that Police Department is very alert against the child marriages . 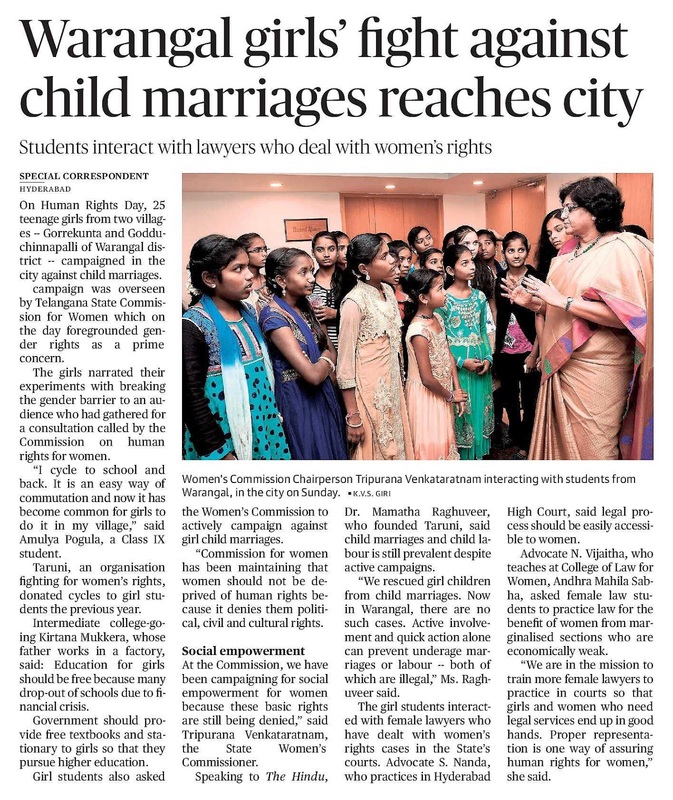 Dr. Mamatha Raghuveer, Founder, Tharuni said that Tharuni is fighting against this evil from its inception in the year 2000 and still this problem persists in some districts of Telangana.The loopholes in the 2006 enactment have to be corrected to stop Child marriages totally, she stated..
DLSA Judges CDPOs and Lawyers, and NGOs, Tharuni Team attended the Meeting.Wall Posters against Child Marriages were released.